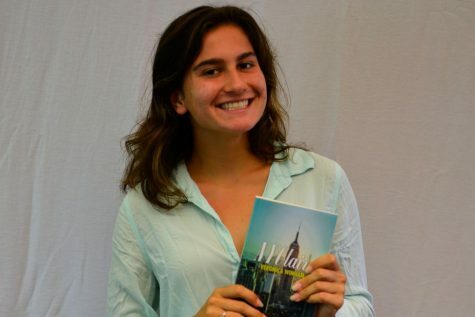 Senior Veronica Winham loves writing, whether its writing articles for the Seabury Tides and The Maui News to publishing her own book, “NYClaire.” Winham was born in New Hampshire on December 5, 1999, and she moved to Maui at the age of eight months old. The first house she lived in on Maui was on Seabury Hall’s campus. Winham is currently enrolled in three AP classes and is involved with many clubs such as Best Buddies, TEDx, and Rotary. She participates in track, swimming, and cross country. Winham is a huge cross country star; she was the 2016-2017 Gatorade Runner of the Year and the girls State Champion. Outside of school, she loves to read, write, and go to the beach and look at the sunset. Winham also loves to travel, and she would like to visit Europe, Paris, and Venice one day. Winham would love to go to college somewhere on the East Coast to study Journalism or anything involving writing.